Planning a trip to South Korea? You’ve made a great choice in vacation destinations. 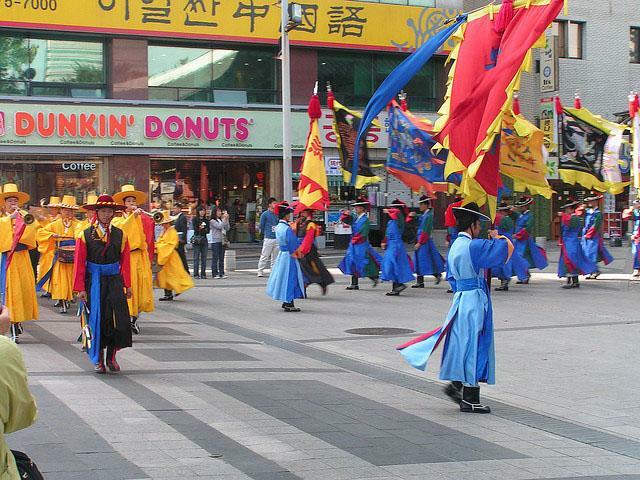 South Korea is full of mountainous terrain, expansive beaches, historic sites and exciting cities. However, this beautiful nation remains a mystery to travelers, who often struggle to anticipate the things they’ll need to plan for on their trips. The following suggestions will streamline the planning process and ensure a stress-free vacation. Although there are plenty of transportation options available in South Korea, you might find it easier to plan how to get around while you are still in the comfort of your own home. Car rental may be pricey, but it is a good option for visitors who want to go on scenic drives in the country or visit small towns with limited access to public transit. Otherwise, a rail pass with the Korea Railroad Corporation (also known as Ko-Rail) works well for getting from one city to another. For getting around within the city, each of the six largest cities in Korea (Seoul, Daegu, Daejeon, Busan, Incheon and Gwangju) has an extensive subway system. The Seoul subway system is the oldest on Earth-its original section first opened in 1974. There are a large variety of accommodations available in South Korea, including everything from youth hostels to luxury hotels. Americans will be surprised to find a number of familiar chains, such as the Holiday Inn, Courtyard by Marriott, Radisson, Best Western, Sheraton, Four Seasons, Ramada and many others. If you want to step outside of your comfort zone, check out a local hotel or bed and breakfast. Most things you need can be found in South Korea’s larger cities, but some items are more expensive and should be packed ahead of time. These things include deodorant, vitamins, dental floss and tampons. The kind of clothing you pack will depend on the time of year you decide to visit South Korea. Be sure to check typical weather and climate patterns and pack accordingly. Before you arrive in South Korea, you’ll want to scope out a place at which you can exchange currency. Although many stores and hotels accept credit cards, there are a number of places that will only accept cash. If you bring a Visa or MasterCard, you should be able to find a global ATM at which you can withdraw cash. Otherwise, bring along cash to make an exchange at the airport or a local bank, keeping in mind that each American dollar is worth 1,000 KRW. Heather Johnson the author of the “Planning a trip to South Korea” is a writer, journalist and a travel blogger who has recently comeback from a 10 month trip around Asia.